We provide a new generation of tools to users of the Internet and intranets that help them stay efficient and focused, and to use the net to its fullest potential. 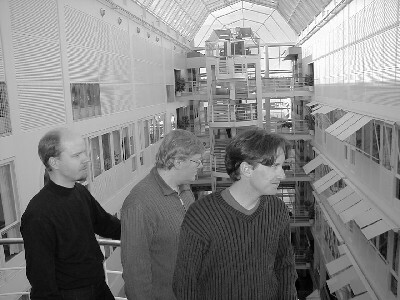 BotBox AB is a spin-off company from SICS, Swedish Institute of Computer Science. BotBox founders are Joakim Eriksson, Niclas Finne, Sverker Janson, SICS, and Telia Business Innovation.